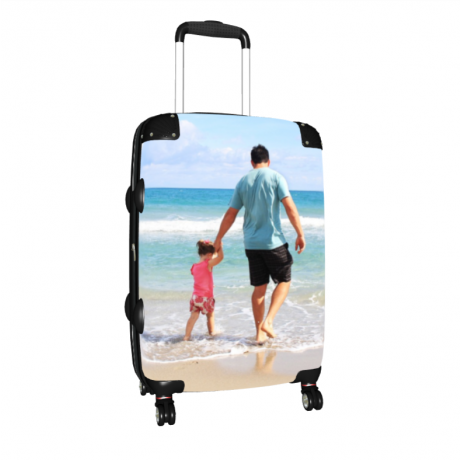 Feel special and close to memories with your own Personalised Medium Suitcase! Great for all travellers, Cabin friendly, including TSA locks! How to use the 3D Design platform. First step you need to click personalise. 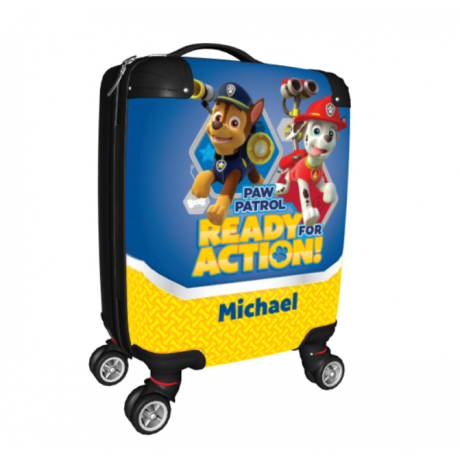 This will bring up the Personalised Medium Suitcase with the design platform. If you are using a computer, you can click and drag the mouse to view it in 3D, if you are using your mobile phone, you can do this by holding down your finger. If you like (optional) you can now add text by typing in what you want in the Add Text field. You can then select your font, font size and colour. 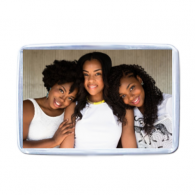 Now you can add a picture to your Personalised Medium Suitcase! Press Add Images. You can select one image to add, or add a number of images, for the best design view, I recommend one image. But it is down to your preference. Press Add Image, it will state the following: Add your image. Where would you like to add an image from? You can select your media such as computer, laptop, phone, social media like Facebook plus more. Once you have selected your image you can move the Personalised Medium Suitcase in the 3D view to see how it has been placed, if you do not like it, you can change the size and rotate this image, by using the tools under the Add Image button, some images may not work well, so I recommend just uploading a new picture to try. When you have finished and happy with the product, you can then add to cart if you would like to proceed to buying the final product.